Oh Lord. These shoes. I can't even - I mean, look at them!! 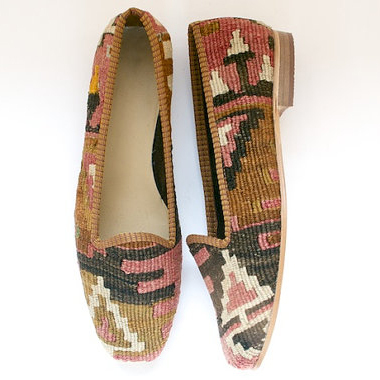 Made in Luxembourg from vintage hand-woven turkish rugs. I want a pair!! Y u no have my size? ?